An Easter gift with a difference! 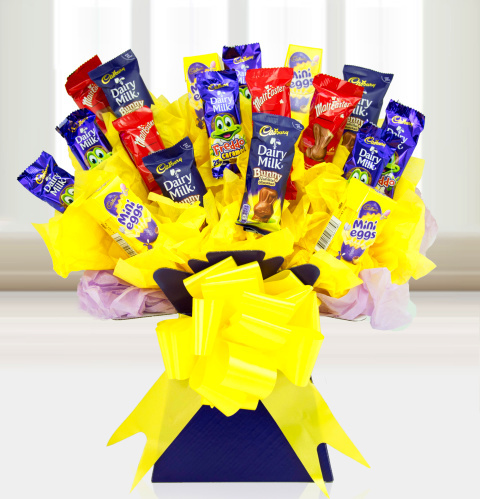 Spoil your lucky recipient with this delightful chocolate bouquet stunningly presented with mini eggs, chocolate bunnies and so much more. Not to be eaten all at once! This is a gift guaranteed to get people talking, certainly a perfect choice for any special occasion. Don't forget to leave your personalised message so they know who to thank!